Hey Benson! We're looking forward to seeing y'all at this year's Community Day! 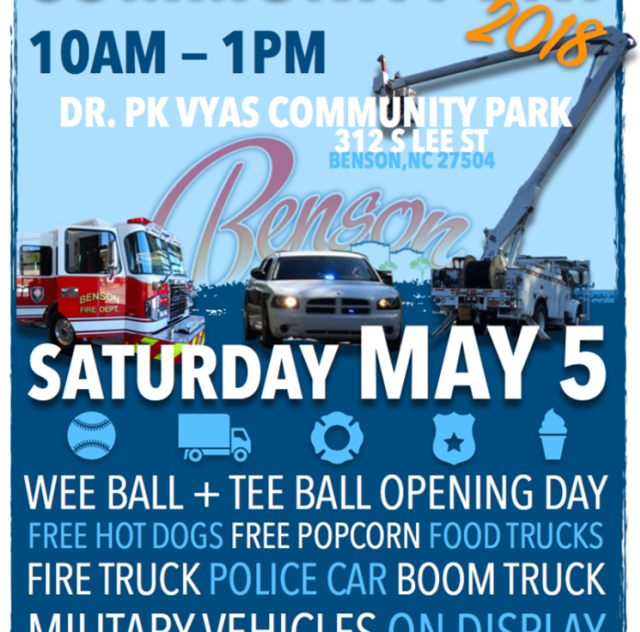 Will feature firetrucks, police cars, bucket trucks, wee ball, tee ball and basball games. Free food - it's a blast! Community Day is about just that — connecting with our community. There's going to be something for everybody and we can't wait to see YOU in the park!